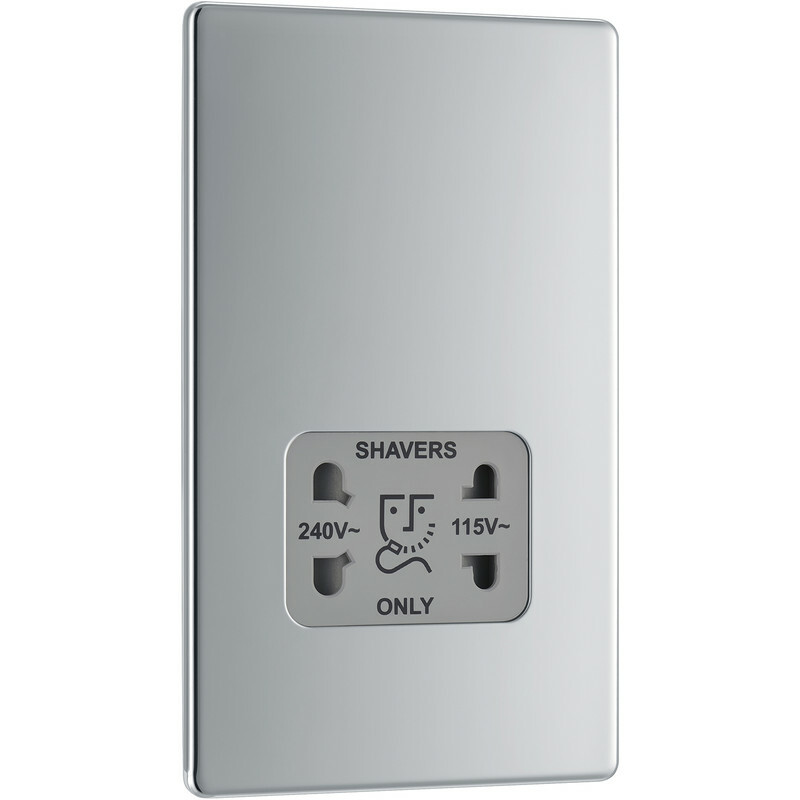 BG Screwless Flat Plate Polished Chrome Shaver Socket Dual Voltage 115/230V is rated 4.2 out of 5 by 5. Rated 5 out of 5 by Rog47 from Great charger. Fitted in new bathroom looks great. Rated 3 out of 5 by Spadie from Good - but not as pictured... The picture does not show the product I received, hence 3 stars. If you take a look at the BG website and search for FPC20C, you'll see what I received. In fact, BG do not appear to make a shaver point that looks like the one pictured, in any form. As I didn't know what product the picture actually represents, I decided to keep the supplied item. It is good quality, easily fitted and works well. Rated 4 out of 5 by Ramon from Shaver Socket Haven't actually installed or used it yet but looks good and at a reasonable price. Rated 5 out of 5 by Williams from Contemporary Shaver Point Very clean, contemporary screw-less shaver point. Spending a lot of money on bathroom fittings means that you need to make sure the finer details are just right. This worked brilliantly and tied in with our German bath ware perfectly.